Like your traditional currency, you can buy and sell things with Bitcoin. That means sellers provide goods and services in return for Bitcoin. Since its emergence, the adoption rate of Bitcoin as a form of payment has been steadily increasing. With Bitcoin, the transfer process would be greatly simplified. Remittances, payments, and other similar financial services can be processed a lot quicker and at relatively low costs. Bitcoin is also meant to provide us with a globalized currency. You may purchase Bitcoins in Country A, and exchange it for the local currency in Country B. You can then deposit that money into your bank account there, all without having to go through a Third-Party Intermediary. The volatility of the price of a currency should now, not bother you as much. You only need to hold on to bitcoins for a couple of minutes to process such a transaction. Bitcoin has an intrinsic value which is directly proportional to its adoption rate and popularity. It can be exchanged for fiat money as a result and is treated as an asset by many. 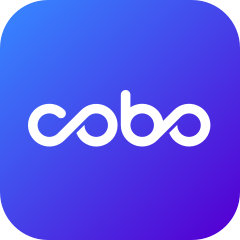 Cobo is, however, not licensed to provide any investment advice. Should you wish to purchase the currency, we strongly advise that you do some research beforehand. It's hard to get your head around the word "Bitcoin" in one sitting. People are often bombarded with negative narratives of the currency on mainstream media, yet Bitcoin's use as digital cash is only the tip of the iceberg.